Two years apart from the Brexit referendum result, UK and EU haven’t reached a final agreement, yet. This has caused a lot of insecurities among people on both sides, about the future arrangements and ways these moves will influence their lives, particularly in the higher education sector. Regardless, experts agree that certain changes in the current immigration system and fee policies affecting all international students, but specifically EU students are actually inevitable. Up to the present, the UK authorities have not been very clear about their position about EU students after the country officially separates way with the block in March 2019. Despite the missing of a definite agreement, time to time EU and UK have agreed for several issues. The intense frequency of these minor agreements has made EU student confound about what to expect in UK universities after Brexit takes over and most of them can’t navigate all these rules and restrictions that UK will apply to them in the future. As long as such handy and comprehensive guide misses out, it is hard for those students planning to attend university in UK to understand what to expect far from their home be it in terms of tuition fees, funding opportunities and student visa restrictions. Since it is of such a great importance, Studying-in-UK.org has compressed some important changes and rules which are going to affect EU students attending university in UK after Brexit. Relevant institutions in England, Scotland and Wales, responsible to take care of education matters in each of the UK’s countries, have already stated publicly that the current fee status for EU students for EU students currently attending university in UK or those who will commence their studies in or before 2019/2020 will remain intact. Moreover, in Scotland and England universities non-EU nationals will benefit from this rule on behalf of their EU national relative members. However, it is still not for sure if students coming from Norway, Iceland and Lichtenstein will also enjoy this fee status in UK universities after Brexit, as the UK government hasn’t released any official announcement related to this. Note that following the end of the transition period every EU student who is planning to stay in UK for whatever reason must apply under the EU settlement scheme before its final deadline except if the student is entitled in another immigration category which gives him or her permission to remain in UK. Despite a lot of pressure has been exerted on the UK Government to clarify the fee status of EU students commencing their studies in UK, in or before the academic year 2020/21, a final decision is still missing. 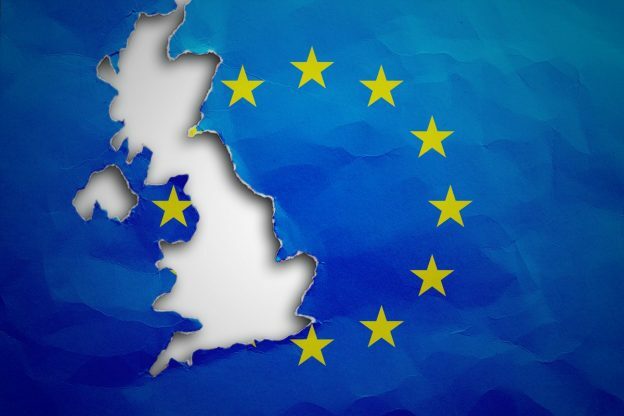 Knowing that the start of the academic year 2020/21 is within the transition period, it is possible that EU students and their eligible family members who will arrive in UK before 31 December 2020 won’t be subject to new immigration rules. Similar to the category above, these EU students will have to apply under EU settlement scheme before it expires, except if they’re entitled for another immigration category which allows them to remain in the UK. Note that if this is the case with you, Britsh authorities will require you to show every proof of your residence from the very first day of your arrival in UK. As for the immigration system, it is likely that new rules concerning the right of EU students to work full-time in UK will start to apply. If you’re about to start your course in January 2021 you’re probably will have to comply with new working rules similar to those applied to non-EU students. At the moment, EU students willing to enroll a UK university in this academic year lack proper information regarding their fee and support status in UK and can only rely on experts predictions. The academic year 2021/22 is not within the transition period, hence, fee and immigration of incoming EU students in UK universities surely will change, but nobody has knowledge over the details. However, most experts claim that these changes are inevitable, but still don’t know at what scale, they will affect international students, in particular, those coming from EU countries.